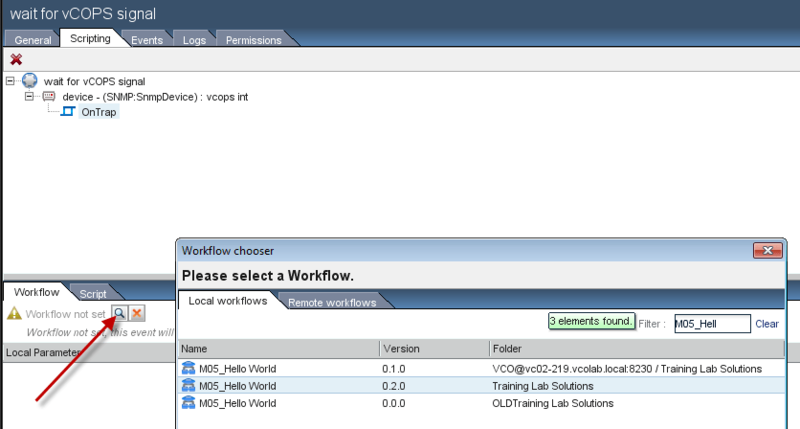 Workflows in vCenter Orchestrator allow you to automate tasks in vCenter. That’s “Kindergarten“. Workflows also allow you to orchestrate IT-Services all over the infrasctructure, leveraging all that generic or specific plugins (Wanna see the list? Go to VMware’s Solution Exchange: https://solutionexchange.vmware.com/store/category_groups/15/categories/21). That’s the “Advanced to Master“-Level. Kicking-off “healing” workflows based on “unhealthy” conditions in your datacenter fully-automated, using vCO as a headless orchestration platform? That sounds like a job for Wizards! What is VMware vCenter Operations? What do we need in vCenter Orchestrator? Event based: The workflow is started when a specific event occurs . You can either use a “Waiting event”-Element in the workflow, or you can create a Policy in vCO. For both vCO-Plugins can provide Triggers. vCenter Operations (vCOPS) can send SNMP-Traps when unwanted situations occur. 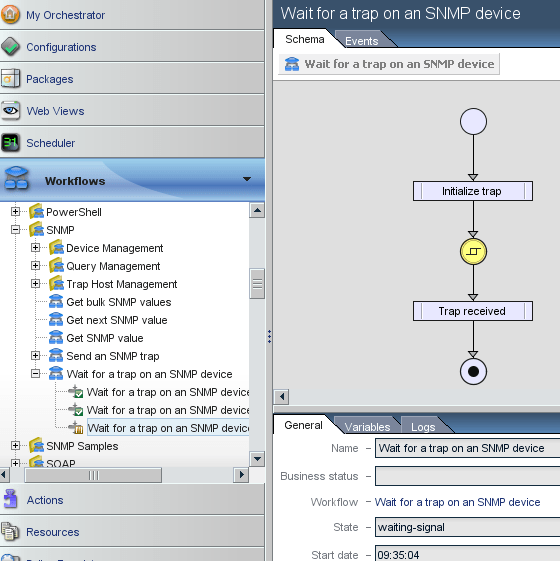 vCO can start workflows when an SNMP-Trap is received. Step 2: Run the Workflows Library / Trap Host Management / Set the SNMP trap port and Start the trap host to make vCO (exactly: the SNMP-Plugin) listen to SNMP traps. Step 3: Run the Workflow Library / Device Management / Register an SNMP device and make vCO listen to SNMP traps exactly from vCOPS. Make sure you use the hostname / IP of the vCOPs Analytics VM, not the UI VM! 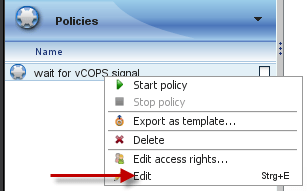 Step 4: Configure vCOPS to send SNMP-Traps to the Orchestrator server. 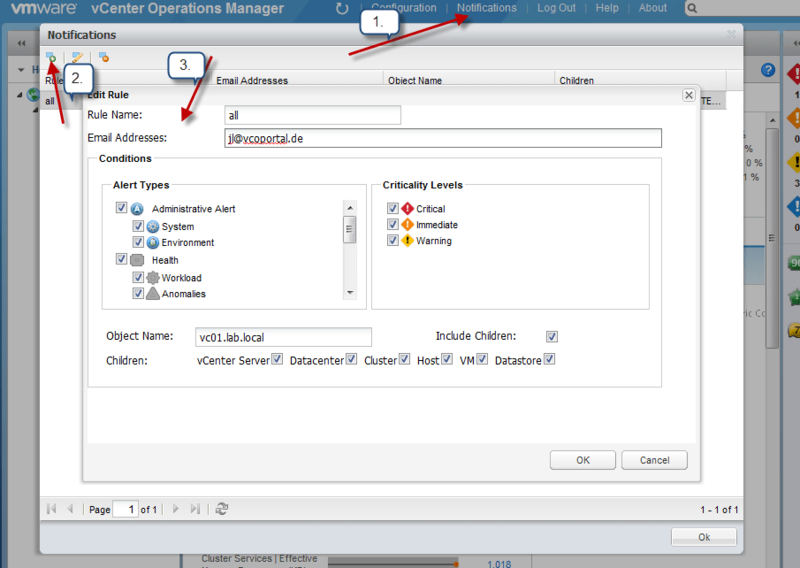 Open the vCOPS Manager Administration, and define your vCO-Server as (receiving) Host. Step 5: Configure vCOPS to “activate” alerting: Open the menu “Notifications” in vCOPs usual webinterface (not the Administration anymore), and create a “New Rule” and enable all the Conditions you want to be notified on. 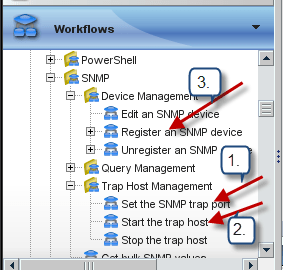 Step 6: For a first test: Run the Workflow Library / SNMP Wait for a trap on an SNMP device. 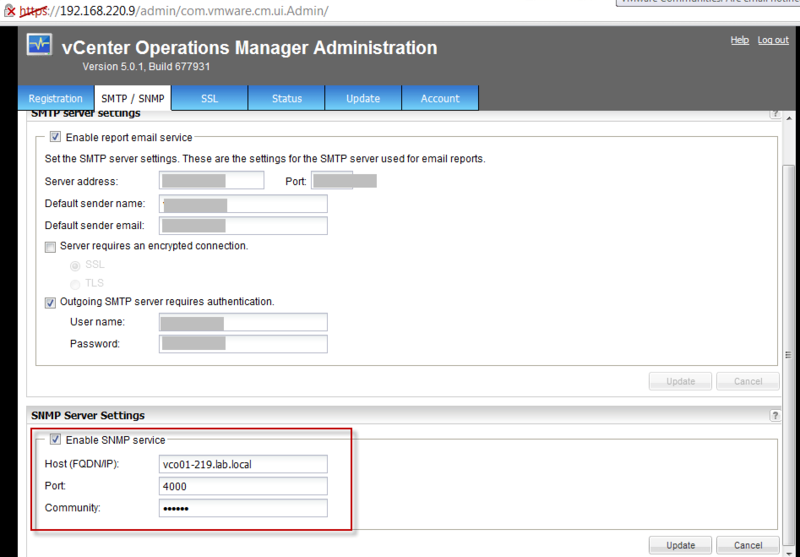 Select the vCOPS Analytics VM as SNMP Device, you registered it in Step 3! Once the trap is received by vCO, the workflow should continue and finish successfully. In the Logs-Tab of the Workflow-Token you can find some details about the trap. 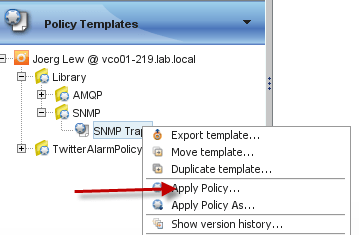 Step 7: To be the wizard: Create a new Policy based on the Policy Template which comes with the SNMP Plugin. Now every condition in your datacenter which leads to an alerting in vCenter Operations will trigger a Workflow in Orchestrator, which can deal with the problem. And the best: All that without writing a single line of code! A datastore runs out of capacity? A workflow will fix it automatically, increase the LUN on the storage system and the VMFS partition. Or just full-stack provision a new datastore and add it to the storage cluster.